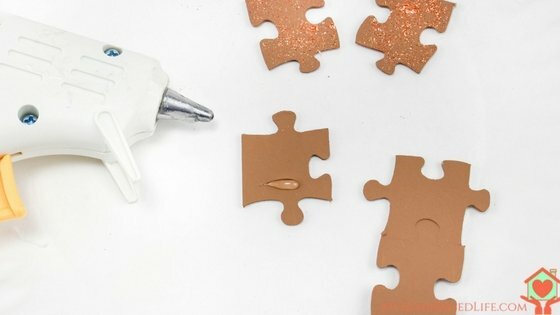 Rudolph Puzzle Piece Ornaments | Give old puzzle pieces new life! Want an easy DIY for Christmas you can make with or without the kids? 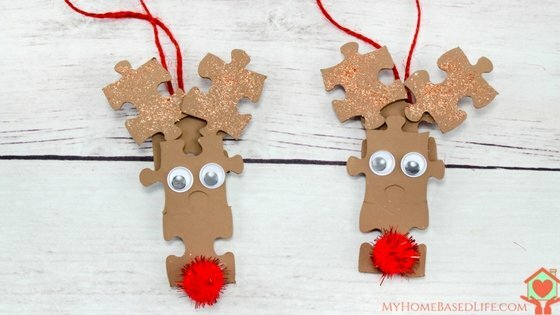 Make these Rudolph Puzzle Piece Ornaments! If you love Christmas DIY and need some more ideas check out these Popsicle Stick Ornaments! 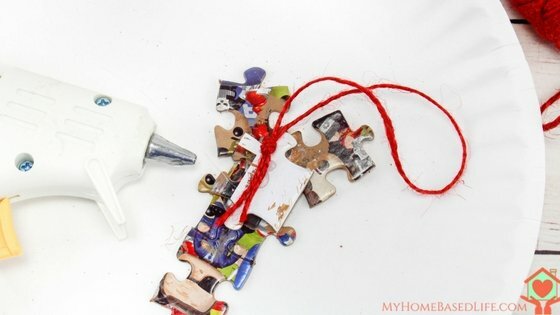 These Rudolph Puzzle Piece Ornaments are so simple to make, but you are going to love how they turn out when you’re finished! 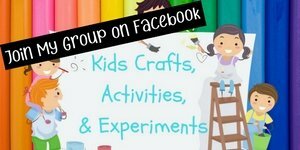 These would be a great craft to do with the kids, as a make-and-take craft girl’s night, or even as a project you could make and sell at craft fairs for the holiday season! For each face of the reindeer, I found 2 pieces that fit together vertically. You do not have to do this, I just thought it made the faces look a little better. 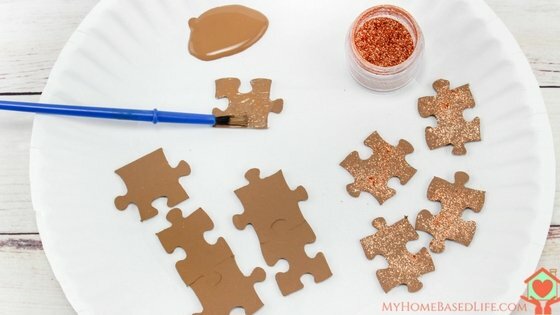 Paint all the puzzle pieces brown, and sprinkle glitter on 4 of them and let them all dry. For the first Rudolph, put a dot of glue on the bottom half of a plain brown piece, and press one of the connected 2 pieces on top of that for the face. Then take 2 glitter pieces and glue one above the face angled to the left and the other angled to the right to resemble antlers. Repeat step 3 for the other Rudolph. Cut 2 pieces of twine, knot each one into a loop, and glue to the back of each reindeer. On the front of each reindeer, glue on a pair of googly eyes and a red pom-pom at the bottom edge of the face for his red nose. 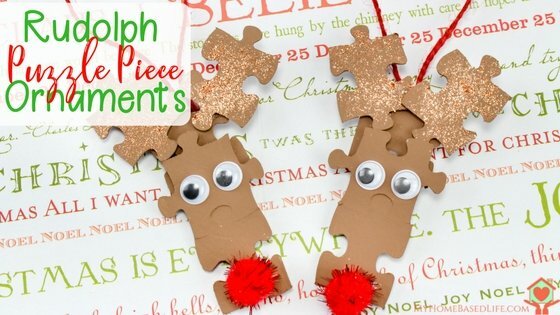 Rudolph Puzzle Piece Ornaments are great little homemade ornaments for kids to make with old puzzles! If your house is anything like mine, I’m sure you have a few puzzles you’ve held onto that are missing pieces. Give them new life with these cute ornaments! These are handmade ornaments I won’t mind putting on the tree this year! What a great idea! We all have puzzles in the house with missing pieces. This is a perfect use for them! These are such cute little ornaments. I love making stuff like this for Christmas. That makes the holiday for me. Oh these are just the best! I’d love to add a couple of cute new Rudolph ornaments to the tree. Do you know how many random puzzle pieces we have laying around here? These are SO cute and a great way to use those pieces up without having to trash them. This is seriously a super cute and creative idea! I wish my brain came up with things like this! This is such a cute idea! I need to make some of these now. My kids are going to have a lot of fun with this. These Rudolph puzzle piece ornaments are really cute! I love all things reindeer and think these are cute for the kids. 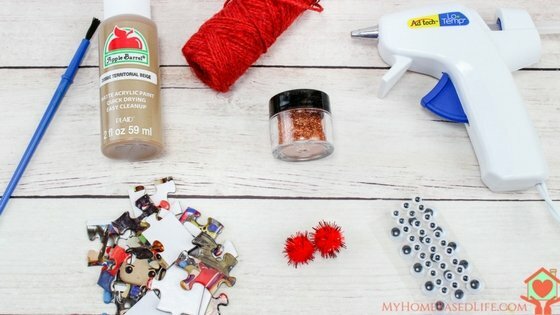 I love cute crafts like this that are kid friendly! I bet we have a million puzzles laying around with a few pieces missing. These are so so so cute!!! What an adorable and fun idea! Awesome idea my nephew’s would love to make a cpl added to our weekend activity list. This is such a cute craft! I might have to do this with my kids this weekend. They would love it. I love this craft idea! How cute. I am going to have to make this with my kids one day soon. I love the idea of making our own ornaments, it’s such an amazing way to personalize your tree and spend time with your family. This is an amazingly adorable idea! They are super fun and cute, I am going to make these this year.